There is no current cartridge available with as much history and as much prestige as the 7mm Rem Mag. 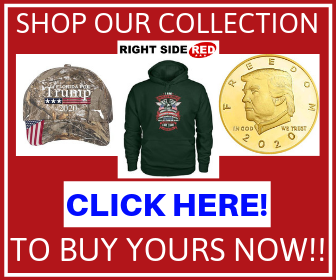 The stories behind this one-of-a-kind ammo date back to the early days of the 20th Century when inventors in the field of weaponry were searching for a 7mm cartridge capable of high velocity and quick reloading. But it would be long before the 7mm Rem Mag would actually come to life in 1962. In this short cartridge review, we will be talking about the long history of the 7mm Rem Mag, its performance stats, how it compares to other, newer and older cartridges, and what are the best rifles which can load the 7mm Rem Mag cartridge. Born in the factories of the Remington Arms Company, the 7mm Rem Mag had been a long time coming. The first concept of a standard 7mm Rem Mag cartridge was promoted by Warren Page in an editorial for the “Field & Stream” magazine. 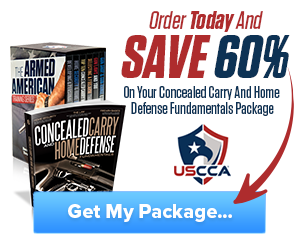 There, Page advocated for a single, standardized type of American 7mm Magnum cartridge. He described this cartridge as being able to fit in any standard production rifle and as being available for purchase at most general gun stores throughout the US. Page had written the article as a result of his experimentation with Art Mashburn. He asked the latter to customize a rifle of his to be able to load the 7mm Mashburn Super Magnum. Mashburn complied and the result was a rifle perfect for hunting big and medium game, as the mechanism drove a 160-grain bullet at a velocity of about 3600 fps. Impressed by Warren Page’s idea, Les Bowman also had one of his cartridges customized for a 7mm. Specifically, he turned the .338 Win Mag down into a 7mm. The result was named a .280 Remington Magnum. Bowman subsequently showed the modified cartridge to his friend Mike Walker of Remington who liked the idea and thus experimented with it for quite a while. The result? In 1962, the 7mm Rem Mag ammo was released. The cartridge quickly became a hit, outselling long-time competitors on the market such as the .264 Winchester Magnum. But that wasn’t enough. The 7mm Rem Mag was so popular, it eventually drove the .264 Win Mag out of business. Like with most rifle cartridges, there are different bullets that can fit into the 7mm Rem Mag. Depending on weight, these can be used for different kinds of targets. The bullet weights that can fit this 7mm Rem Mag range from 110 grains to 175 grains (or between 7 grams and 11 grams). For bullets between 110 and 150 grains, the velocity ranges from 3200 to over 3300 fps. We recommend this bullet for hunting light game, but not at ranges of over 650 yards, as that is the point where it starts losing some of its punch. Any closer than that and a 140-grain bullet can produce the kind of trauma necessary to down anything from light game to medium game. However, as we move on up, we see that it can’t really do much against the larger game. For excellent performances with medium game, 7mm Rem Mag can be equipped with bullets from the 150-160 grains range. Driven at 3100 fps or 3200 fps, these bullets will down anything that’s within 900 yards of the shooter. However, this bullet will work best for medium to large game. We recommend that for game exceeding 180 pounds you try something a little larger. Something like the 160 to 180 grain bullets, which are extremely effective for just about any game, at ranges of up to 1000 yards. These bullets can provide a clean kill for any game of up to 320 kilos (or 700 pounds). Anything larger than that, and the game may end up suffering greatly before it’s killed. We thus recommend the humane way of downing these animals by shooting for the neck or the head. 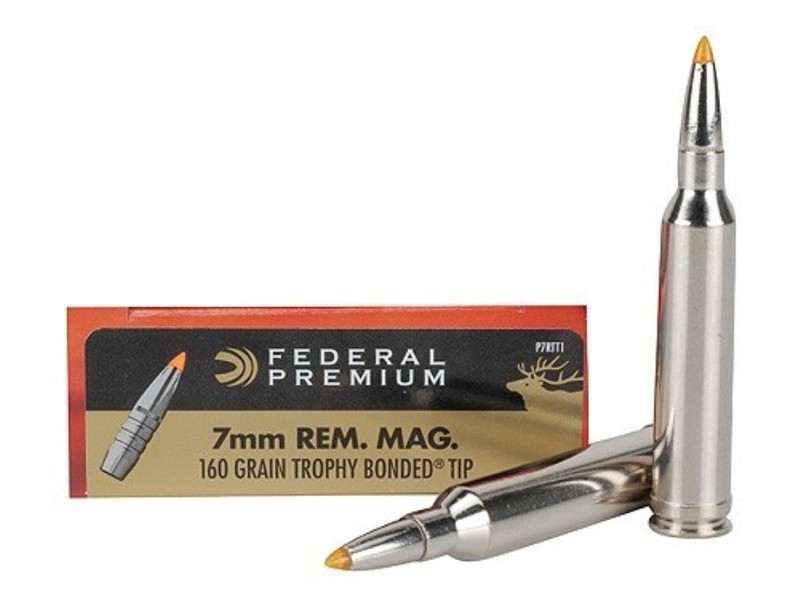 We have several recommendations when it comes to bullet loads for the 7mm Rem Mag ammo cartridge. These range from 139-grain bullets to 162-grain bullets, meaning they would be ideal for light-medium game to medium-big game. Hornady 139 grain SST. 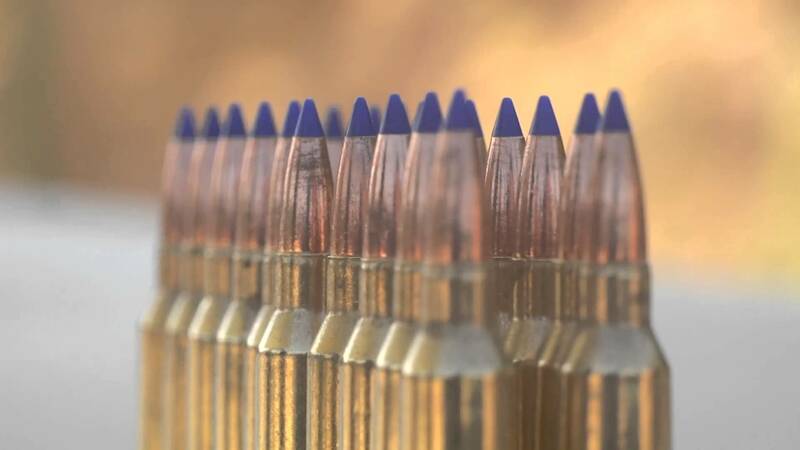 These 7mm Rem Mag bullets come at a sectional density of .246, a ballistic coefficient of .486. They are driven at a velocity of 3250 fps. Fed 150 grain Gameking. These 7mm Rem Mag bullets come at a sectional density of .266, a ballistic coefficient of .436. The drive velocity is slightly lower at 3110 fps. Hornady 154 grain IB/ SST. The sectional density for these 7mm Rem Mag bullets is .273, the ballistic coefficient is .525. They are driven at a velocity of 3035 fps. Hornady 162 grain Interlock. For these interlocking 7mm Rem Mag bullets, the sectional density is .287 and the ballistic coefficient is .514, with a lower velocity of 2940 fps. The 7mm Rem Mag is versatile and really good against medium to large game. However, the current market is tending towards cartridges that offer a little less recoil. Remington has also released Managed Recoil ammo for the 7mm Rem Mag, which also promises to reduce meat damage (especially on smaller game). What do you think of the 7mm Rem Mag? Would you recommend it or do you have something better in mind? Let us know what your opinion is in the comments.